Size: 2,026 sq. ft. "on 2 levels"
Are you looking for that special place in the country, still close to amenities? 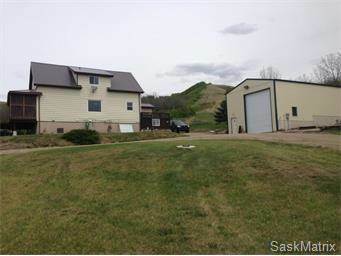 19.8 acres overlooking Katepwa Lake, updated home, with a workshop that is insulated, heated, bathroom, cement floor, gas and power. Land has potential with RM approval to be subdivided, could be used for RV Park, condo development or a market garden. The house has had many updates, with a large island in an open concept kitchen, dining room and living room. Master Bedroom has a large sitting area where you can look out at the scenic valley view. It is a must see to appreciate what is there. Call Listing Agent for further details.